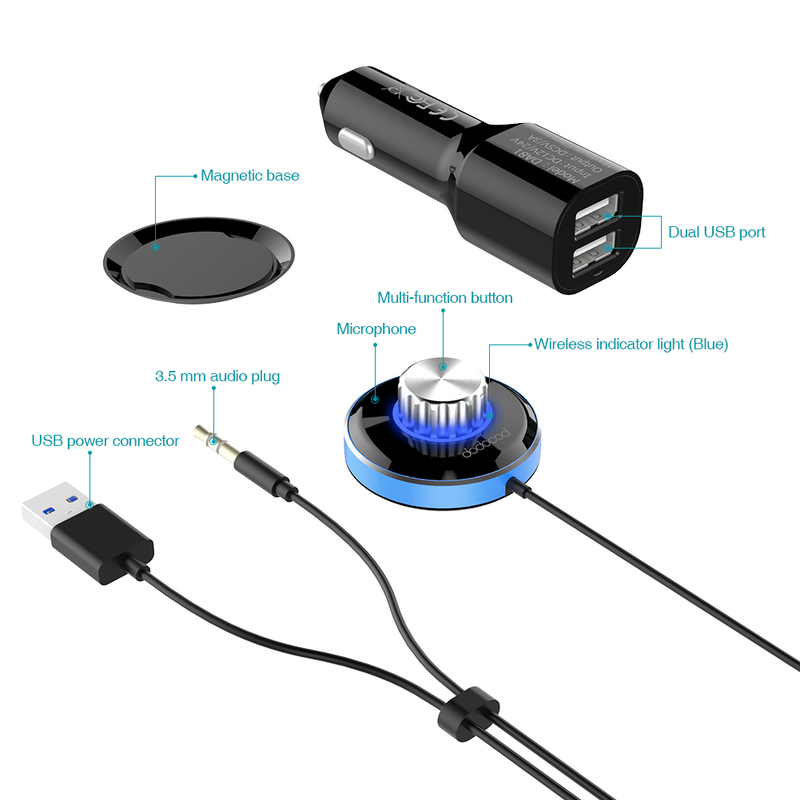 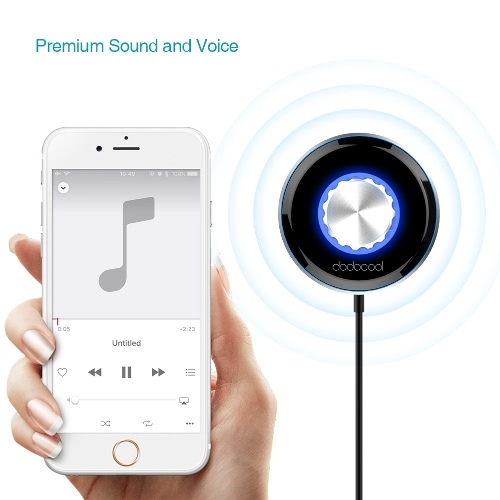 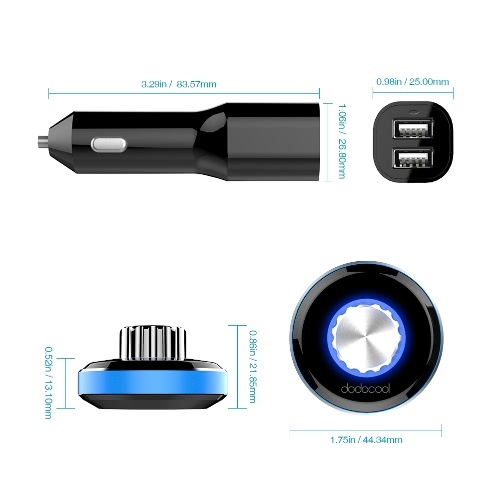 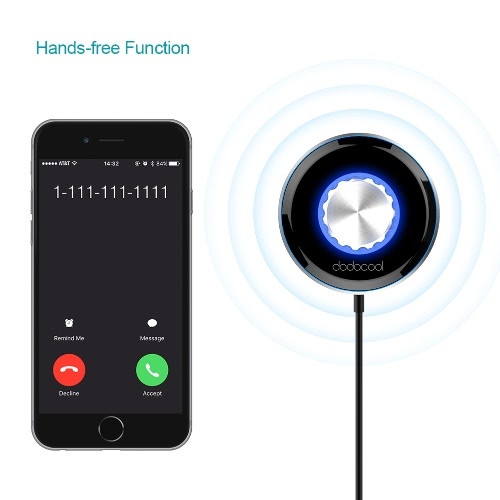 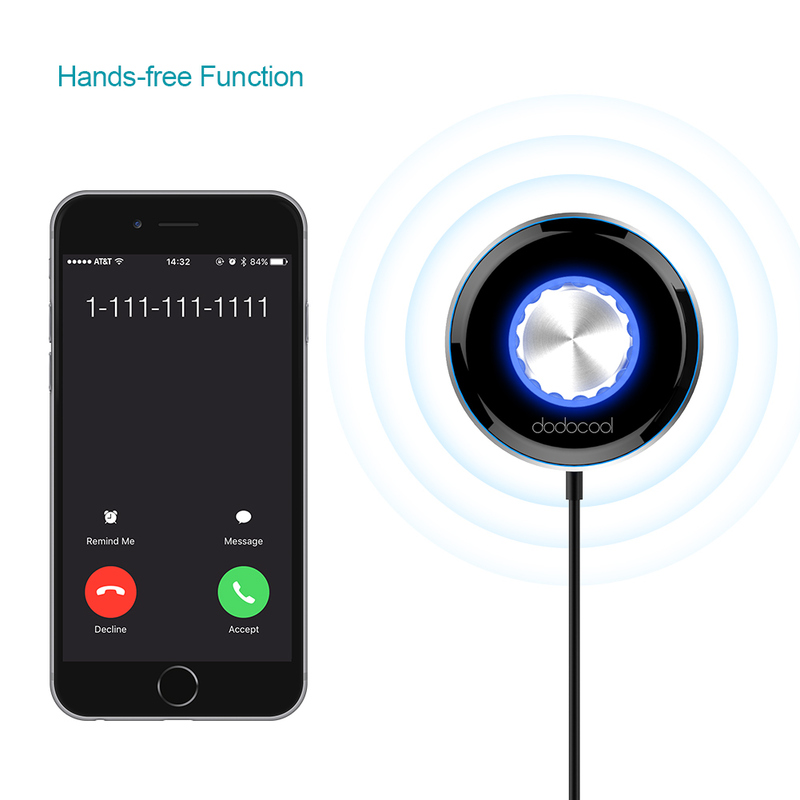 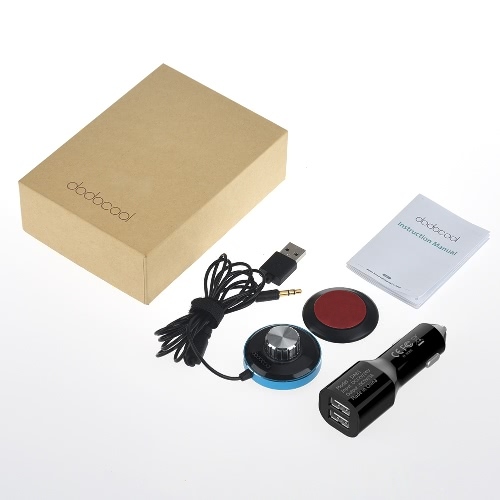 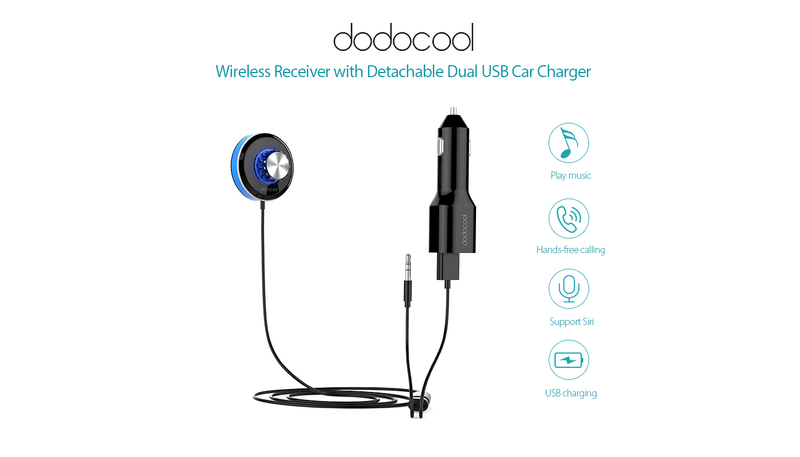 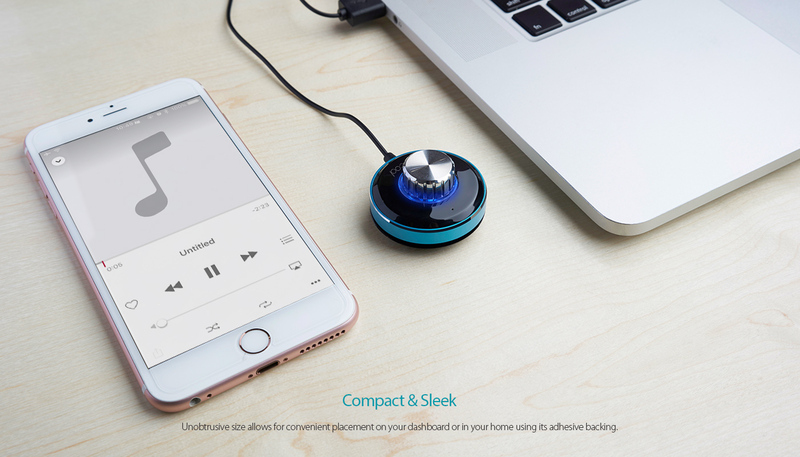 dodocool Wireless Receiver with Dual USB Car Charger offers a simple hands-free solution for phone calls and streaming music from your smartphones, tablets, or other devices. 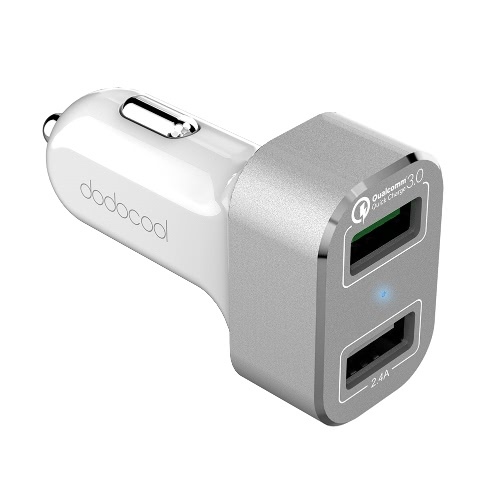 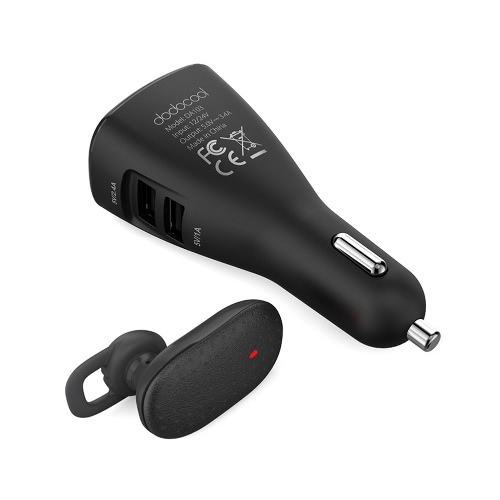 The detachable dual USB car charger can charge two devices simultaneously with up to 3A current. 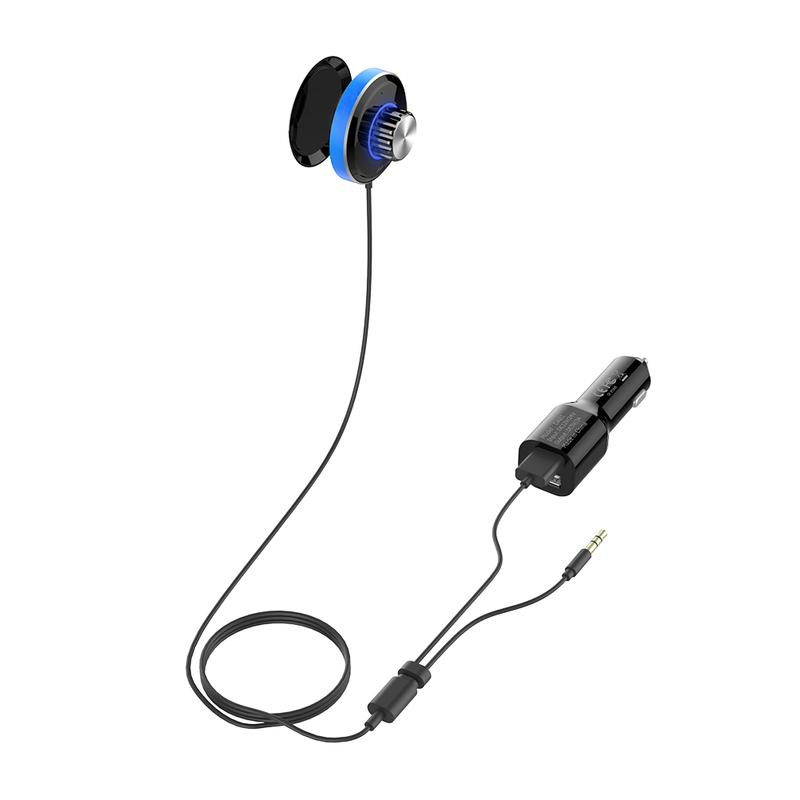 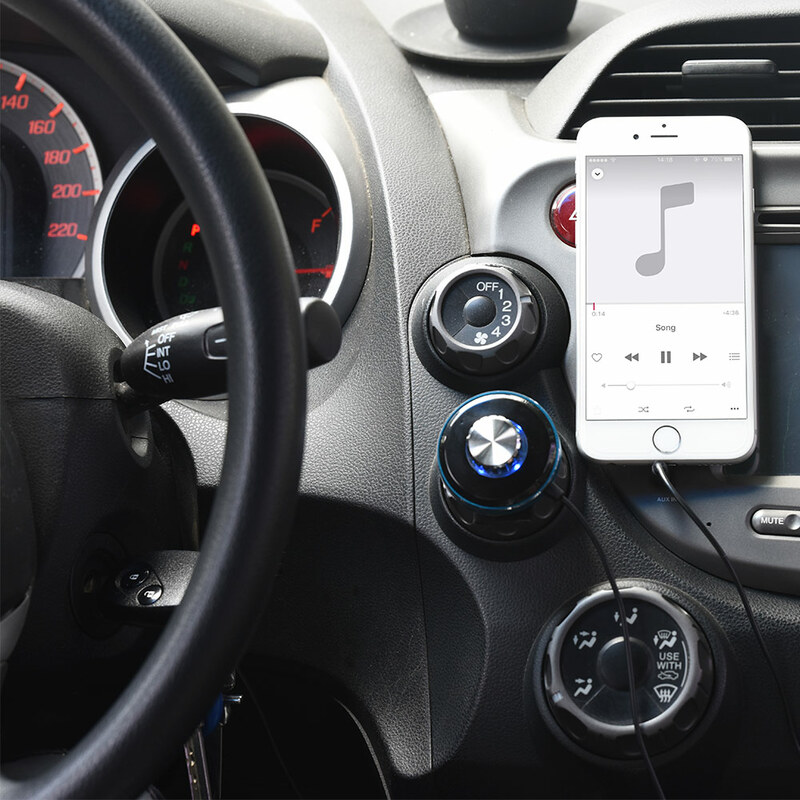 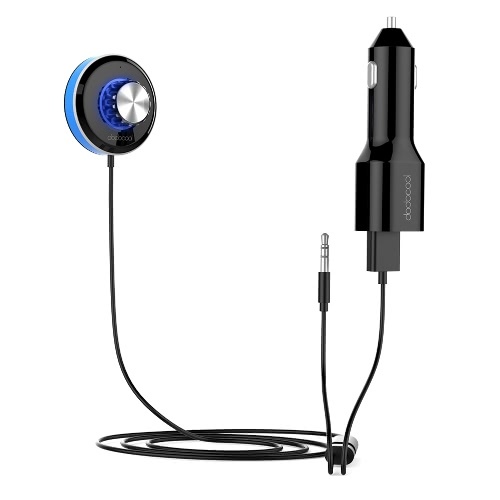 Simply pair the wireless receiver with your device and easily turn your car into a wireless speaker through a 3.5 mm input jack. 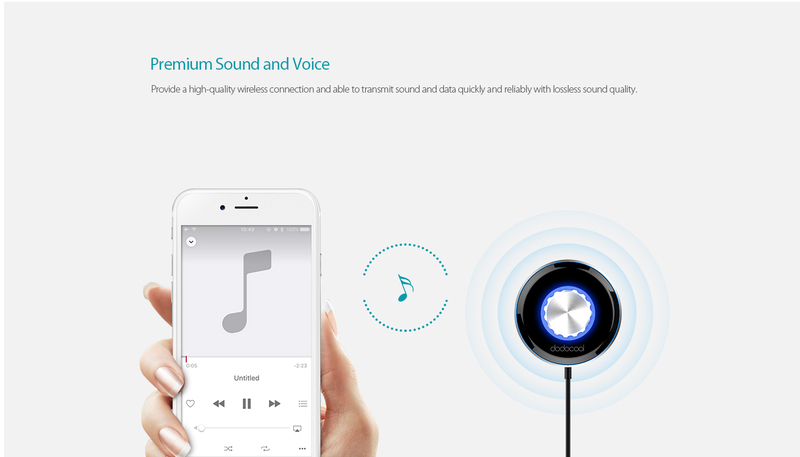 Provide a high-quality wireless connection and able to transmit sound and data quickly and reliably with lossless sound quality. 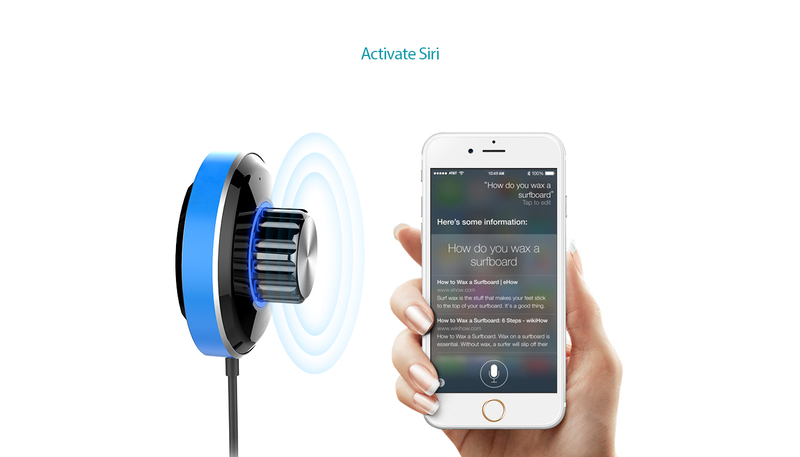 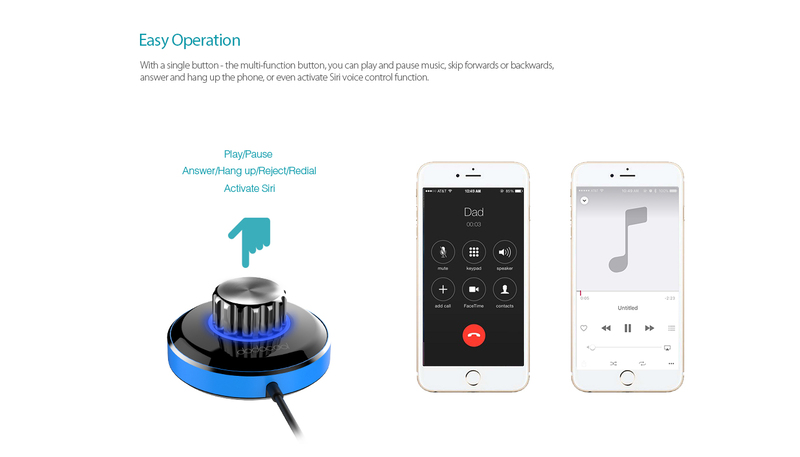 With a single button - the multi-function button, you can play and pause music, skip forwards or backwards, answer and hang up the phone, or even activate Siri voice control function. 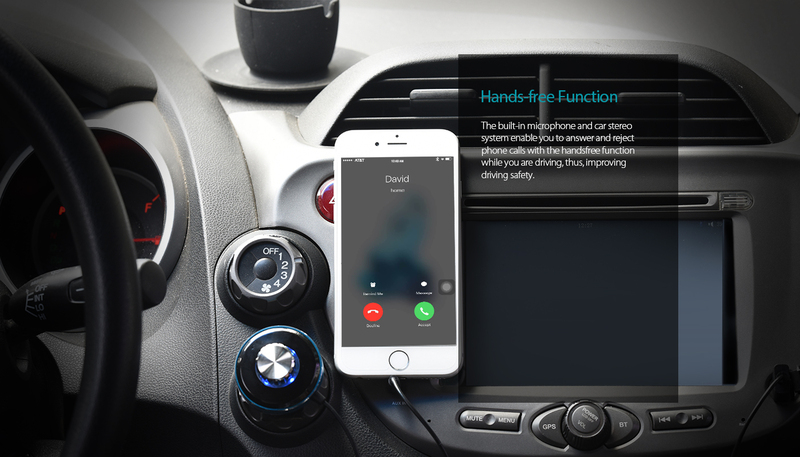 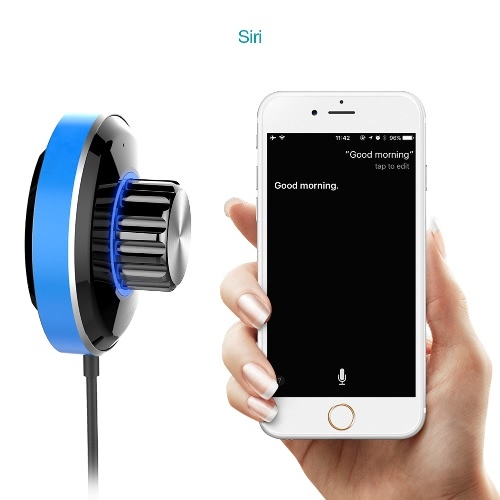 The built-in microphone and car stereo system enable you to answer and reject phone calls with the hands-free function while you are driving, thus, improving driving safety. 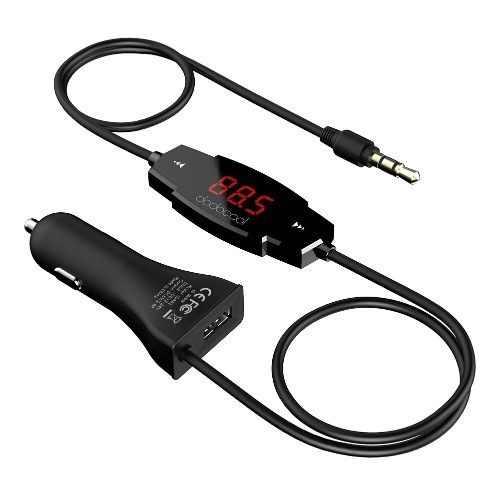 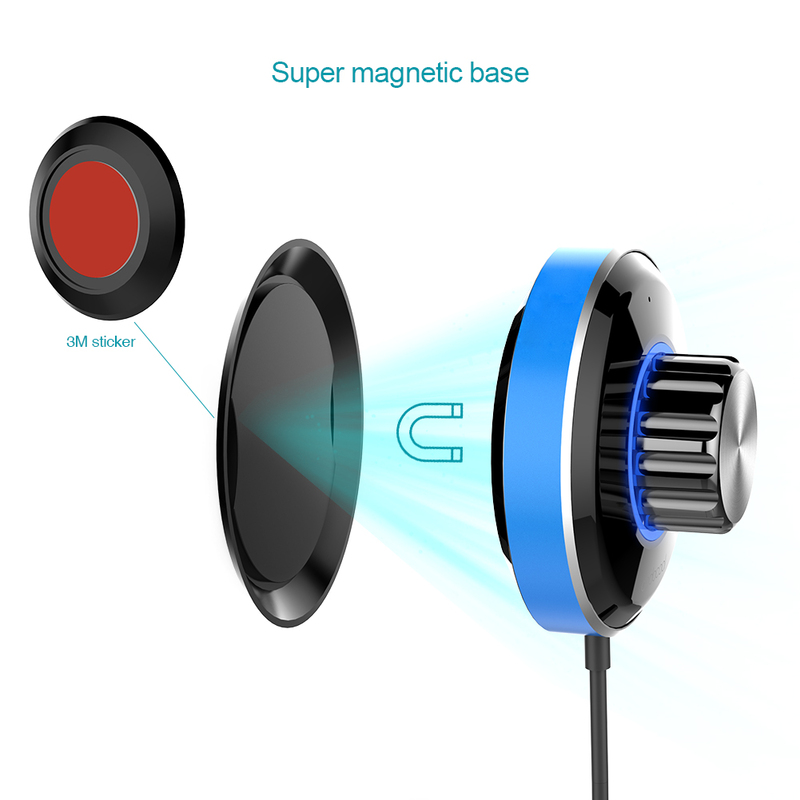 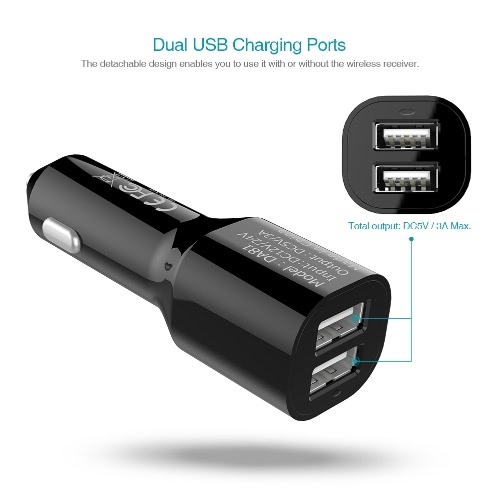 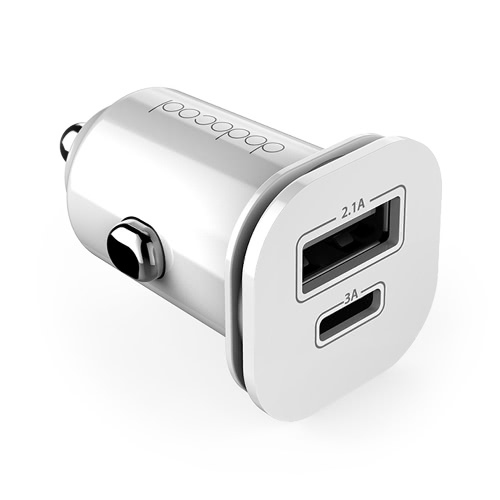 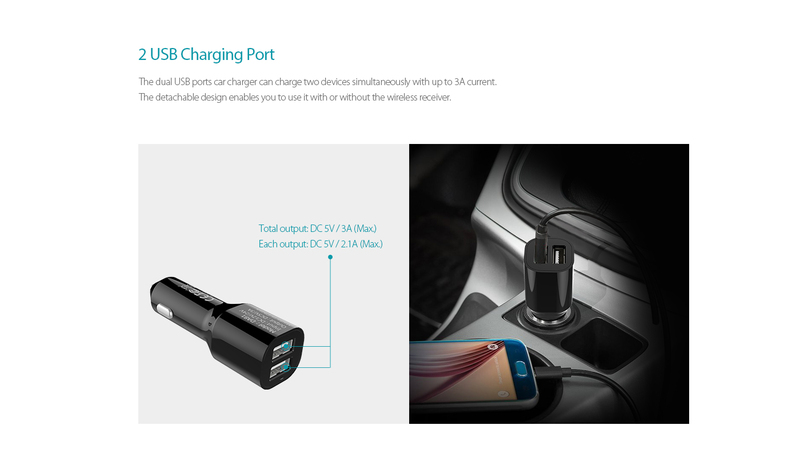 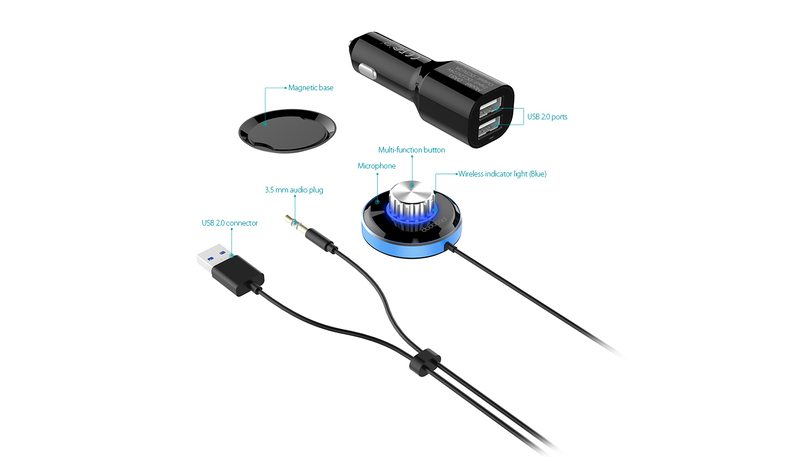 The dual USB ports car charger can charge two devices simultaneously with up to 3A current. 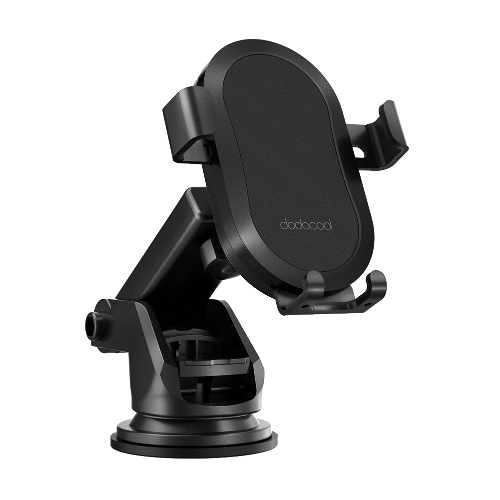 The detachable design enables you to use it with or without the wireless receiver. 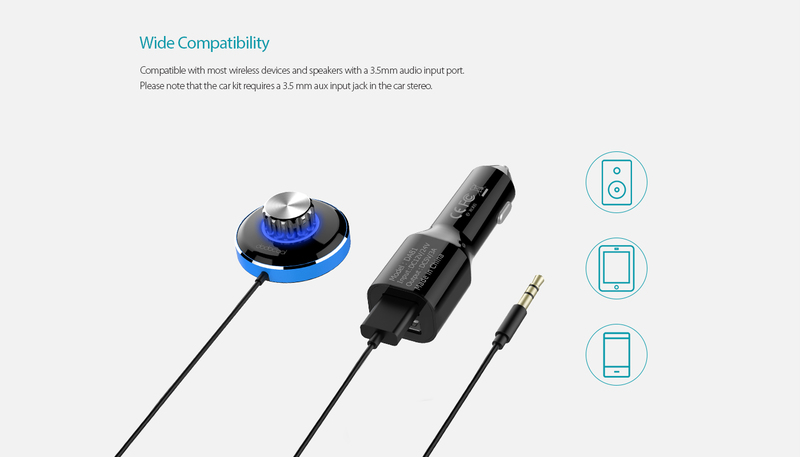 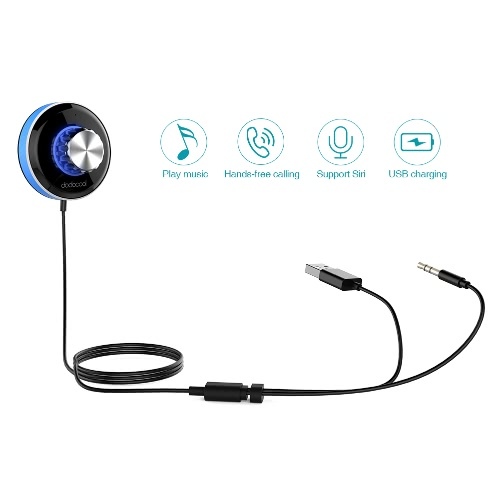 Compatible with most wireless devices and speakers with a 3.5mm audio input port. 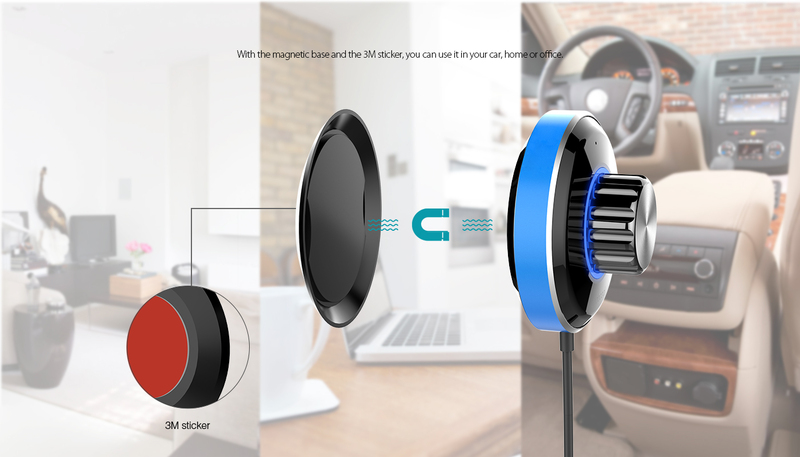 With the magnetic base and the 3M sticker, you can use it in your car, home or office. 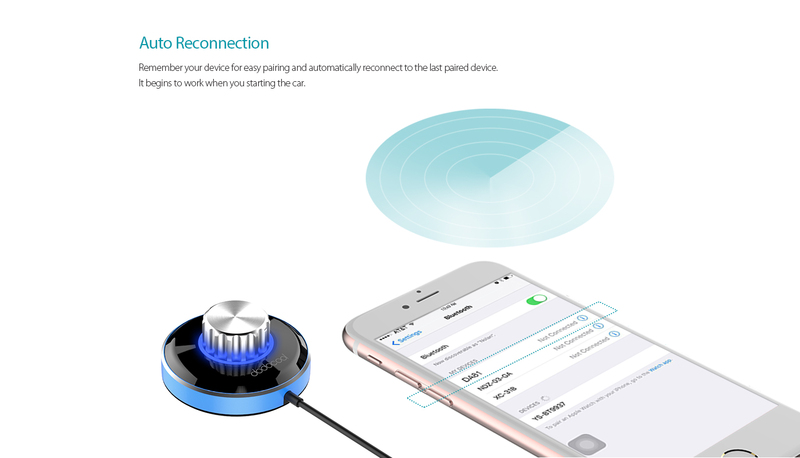 Remember your device for easy pairing and automatically reconnect to the last paired device. 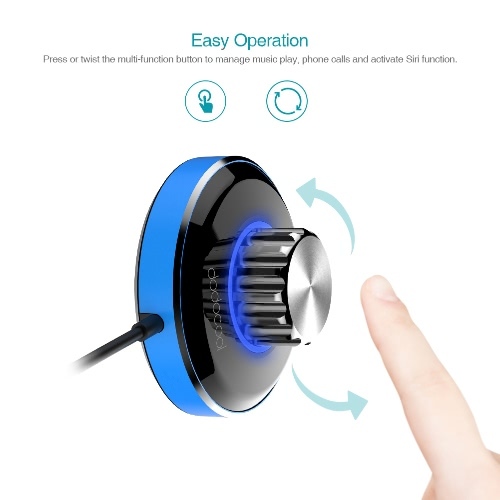 It begins to work when you starting the car. 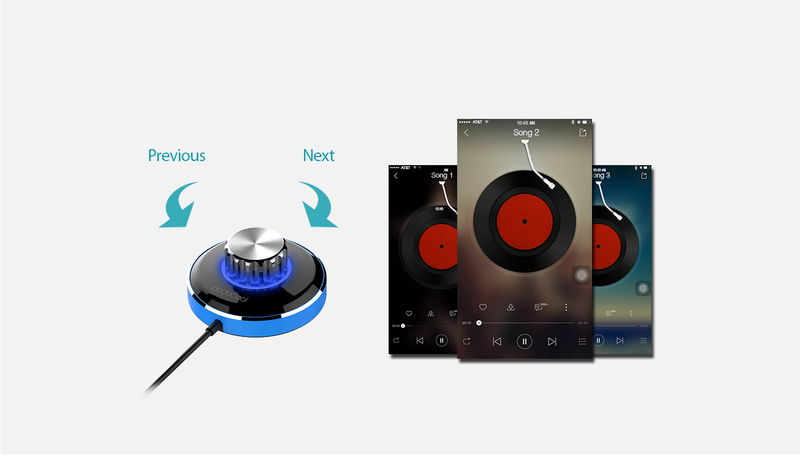 Switch seamlessly between music streaming and incoming calls by pressing one button. 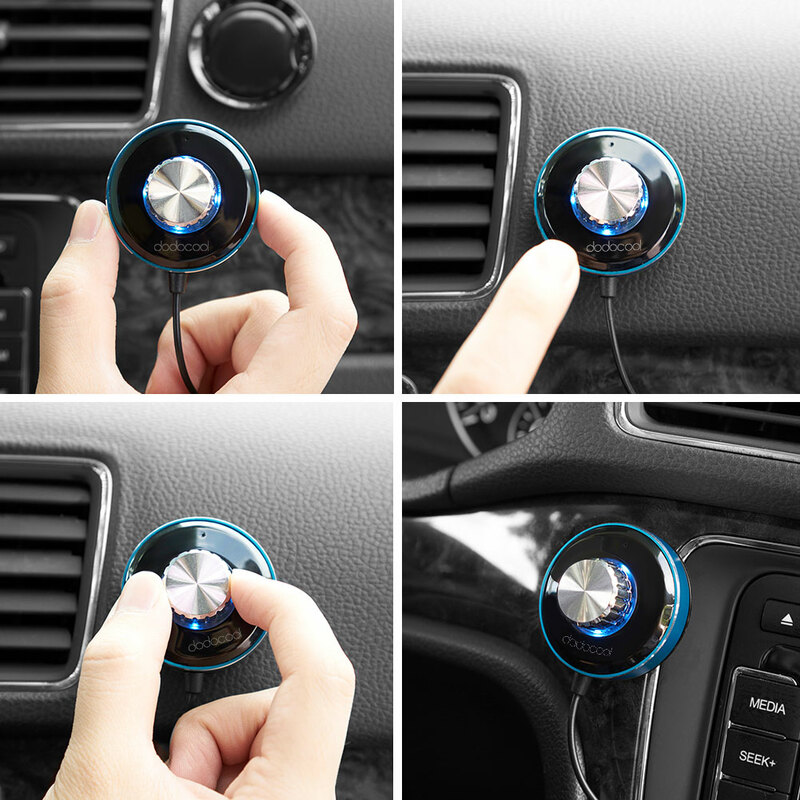 Unobtrusive size allows for convenient placement on your dashboard or in your home using its adhesive backing. 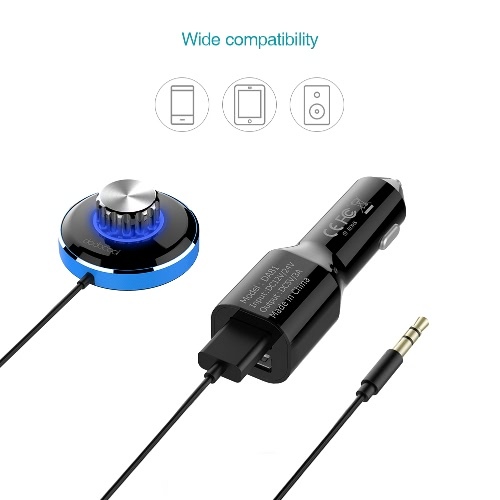 Note: The car kit requires a 3.5 mm aux input jack in the car stereo.